Despite remarkable medical advances, Americans are sicker today than ever. With slow inevitability, individuals and society are accepting responsibility for improving our national health. 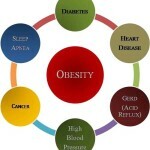 Addressing obesity and the chronic disease it spawns (see graphic) is America’s principal health challenge. A factsheet by the Partnership to Fight Chronic Disease details scope and impact. 133 million Americans have chronic disease. It accounts for 81% of hospital admissions, 91% of prescriptions and 76% of physician visits. As chronic disease swells, healthcare spending climbs, national productivity declines and income inequality expands. Unfortunately, the U.S. system lacks the care management capabilities to fight obesity and diminish chronic disease. Health companies that develop these capabilities will experience expansive demand for their services. Our lifestyle causes unprecedented and increasing levels of disease, disability and medical expenditure. Significant structural, biological, and environmental factors contribute. While daunting, addressing the health system’s structural challenges is easier than overcoming the biological and environmental realities that shape modern living. To their credit, enlightened health systems are attacking the system’s structural flaws by incorporating evidenced-based solutions. They’re making real progress. Unfortunately, it’s not enough. Advancing population health requires modifying deep-seated biologically and environmentally-based behaviors. Environmental: Most human behavior is habitual. We respond without thinking to environmental cues carved into our neural circuitry. This works well except when our habits (e.g. afternoon cookies) reinforce unhealthy behaviors. Overcoming bad habits require developing new neural pathways that ignore salient environmental cues and redirect behavior. This is difficult because the old neural pathways don’t disappear. Ask anyone who has tried to quit smoking. • Isolation: “wired” to live in close-knit, social communities, isolated individuals experience more depression and disease. • Inequality: low-income individuals are disproportionately obese and suffer from chronic disease, stress-related illness and depression. Complex environmental factors relating to food access, economic insecurity and dysfunctional communities drive this pathology. • Expectations: belief that pharmacological and medical breakthroughs will compensate for unhealthy lifestyle choices. 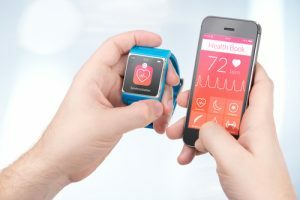 Population health has four distinct and increasingly complex levels: chronic disease management; predictive analytics; lifestyle management and lifestyle transformation. They interconnect and require different forms of societal, institutional and individual commitment. I. Chronic Disease Management: Reducing the impact of existing chronic disease on the U.S. health system is imperative. This begins with “hotspotters,” the heaviest users of healthcare users. In a November Harvard Business Review blog , Scott Pingree details Intermountain Healthcare’s program to understand and treat their hotspotters, the five percent of patients consuming 51% percent of care services. Detailed surveys of these high-cost patients reveal inadequate care coordination, poor life quality, care plan misunderstanding, significant mental illness and “self-care” failure. 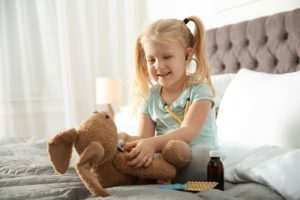 In response, Intermountain has initiated pilot programs to improve its overall adult care strategy and achieve better outcomes for high-cost patients with personalized and holistic solutions that combine coordinated medical treatment with mental health services, monitoring, training and lifestyle coaching. Their goal is to treat chronic disease’s root causes as well as its symptoms. II. Predictive Analytics: Proactively treating patients for chronic disease (before they become “hotspotters”) prevents hospitalization, lowers costs and improves life quality. Preventive care requires active monitoring and engaged customers. In 2004, UPMC’s Health Plan began using predictive analytics, coaching and wellness programs to improve employee health. 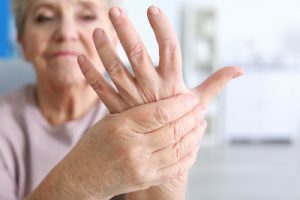 They are adept at identifying employees at high-risk of hospital admission and treating their chronic diseases before they require invasive care. In addition to low premium increases (1.1% in 2011), the Health Plan has reduced days lost to illness and injury by 9%. Keeping trained caregivers working improves quality and lowers costs. III. Lifestyle Management: Given the importance of environmental cues and strong communities in changing habitual behaviors, organizations should promote employee health and wellness. Under Dr. Michael Roizen’s leadership, the Cleveland Clinic inaugurated its Wellness Institute in January 2008 to engage its communities in healthy life choices. Employing “carrot and stick” strategies, the Clinic has introduced active monitoring, eliminated unhealthy meals and snacks, prohibited smoking, promoted fitness, encouraged weight loss, supported stress reduction and rebated health insurance premiums to healthy employees. Early results validate the investment. Employees have lost over 400,000 pounds. Employee utilization of healthcare services has declined – hard evidence that wellness programs can be cost-effective. IV. Lifestyle Transformation: Overcoming habitual behaviors that trigger chronic disease requires individual lifestyle transformati on. Most people who try to eat better and exercise more fail. Within two years, 90% of by-pass surgery patients revert to the behaviors that caused their cardiac disease. While difficult, change is not impossible. 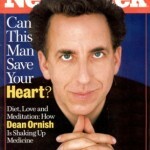 Dr. Dean Ornish treats chronic cardiac patients with strict diets, meditation and exercise. 80% of his patients still follow the program after three years. His regimen actually reverses heart disease. Ornish achieves this success by teaching good habits, making participants feel better and creating ongoing support networks. Lifestyle transformation occurs individually, but it occurs more often within conducive environments and encouraging communities. In December, Oxeon Partners published a report on Village Practice Management (“VPM”). 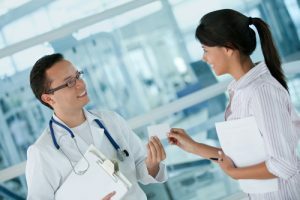 VPM is an efficient Houston primary care practice with a big vision: to become the nation’s largest primary care company with physician owners who provide effective care management by aligning productivity and compensation. VPM’s Houston practice has 55% fewer hospital admissions, 45% fewer readmissions and 50% lower costs than comparable practices. Their physicians see 50% more patients per day. VPM’s seasoned leadership team believes their model is scalable and transportable to other markets. Moreover, they’re ready to undertake full risk-based contracting supported by efficient specialty care networks. Care management companies like VPM will thrive by meeting the care needs of distinct populations. While their efforts are vital, they are not enough. If obesity and chronic disease continue to increase, medical expenditures will skyrocket and our nation’s health will decline. Addressing America’s obesity crisis requires universal participation by individuals, communities, schools, employers, religious/social organizations and governments. Chronic disease management and predictive analytics provide a good start. 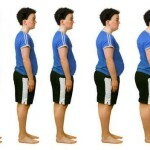 American society also must tackle lifestyle management and transformation. We cannot afford to fail. 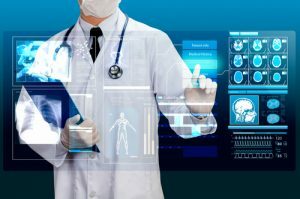 The post Population Health – The Work Has Just Begun appeared first on REVENUE CYCLE NEWS.